Books and bucks: Nothing brings a community together quite like a new library. In recent years, the county has opened new libraries in Alpine, Ramona and other areas — each with the strong support of their local Friends of the Library group, along with community leaders. We’re seeing the same spirit now as the county prepares to break ground on a bigger, better library for Lakeside. Rise City Church recently donated $50,000 to the project, joining a growing list of donors. The money will help purchase materials and other resources for the taxpayer-funded building. Libraries are as important as ever. They are not just places to learn, but in many smaller towns, they are also the heartbeat of the community. Keeping seniors safe: With the number of San Diegans with Alzheimer’s disease and other types of dementia on the rise, it’s critical we do all we can to keep them safe. Three out of five people with dementia will wander or get lost at some point during the disease, according to national estimates. If you haven’t already, I encourage you to sign up any loved ones with dementia for the Take Me Home program, run by the Sheriff’s Department. It can help deputies find seniors if they get lost. For more information, go to sdsheriff.net/tmh. Success stories: So many great folks are doing wonderful things across our community. Among those recently presented with a county proclamation is Sally Westbrook, who served as president of the Ramona Chamber of Commerce in 2017 and has helped her community by volunteering with the Ramona Senior Center and other groups. Also honored were Fabrice and Alison Borel, operators of Fabrison’s restaurant in Jamul. The eatery offers country French cooking and has brought something special to the East County dining scene. 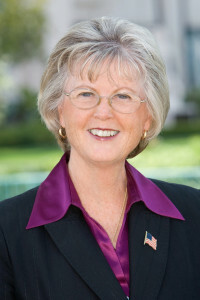 — Dianne Jacob is San Diego County Supervisor for District 2. For more District 2 news, go to diannejacob.com or follow her on Facebook and Twitter. For assistance with a county issue, call her office at 619-531-5522 or email dianne.jacob@sdcounty.ca.gov.